Mendel Lee (b. 1975) is a composer, musician, and music and marching educator/arranger residing in New Orleans, Louisiana. He is currently the Assistant Director of Bands of Tulane University, the director of the Green Wave Brass Band, the founder and co-director of nienteForte Contemporary Music, and a composer and performer with Versipel New Music. Mendel’s music has been commissioned by internationally renowned timpanist David Constantine of the President’s Own Marine Band, The Concert Singers (Los Angeles, LA), The Xavier University Symphonic Winds, Liminal Space (Houston, TX), the West Chester University Percussion Ensemble, the Portland Percussion Group, and the nienteForte Collective (New Orleans, LA). Additionally, his works have been performed by Andy Kozar, the Greater Portland Flute Society, the San Francisco Festival of Contemporary Music, Future Music Oregon (Eugene, OR), Hundredth Monkey (Eugene, OR), and Versipel New Music (New Orleans, LA), amongst others. As a performer, Mendel was the snare drummer for the “Shakespeare 400” Jazz Funeral Brass Band in Stratford-upon-Avon, England. 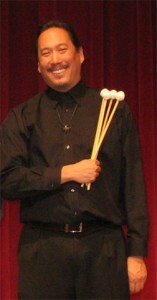 He has also performed as a pianist, percussionist, vocalist, and conductor for the Hundredth Monkey Ensemble, Versipel New Music, and the nienteForte collective, and he has also served as a guest performer/conductor for the West Chester University Percussion Ensemble, the Oregon Percussion Ensemble, Ensemble 504, and Ensemble Pamplemousse. Mendel is an Innovative Percussion Educational Artist whose experience as a member of the West Chester University Marching Band and the Crossmen Drum and Bugle Corps and as an instructor with the Jersey Surf and the Glassmen has helped him build success as a creative designer and instructor for numerous high school and collegiate marching organizations nationwide. In his debut year as the creative designer for Hermiston High School’s Marching Band, his show earned them placement in finals for the first time in their program’s history. 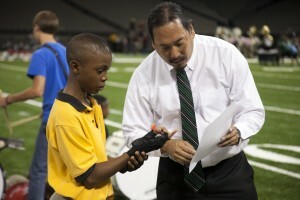 During his tenure with the Tulane University Marching Band, he helped coordinate performances and logistics for their participation in high-profile national events and television coverage including the 2009 New Orleans Saints Superbowl Victory Parade, the 2010 Krewe of NFL Kickoff Parade, the 2011 Wheel of Fortune College Week, the 2013 Fox and Friends Super Bowl Week broadcast, the 2013 Celebrity Beach Bowl Pregame Show, and the TUMB’s 2016 appearance in the second season of “NCIS: New Orleans”. He also coordinated the Green Wave Brass Band’s 2016 appearance in the second season of MTV’s “Brothers Green – Eats!” and their appearance as the opening act for the 2016 and 2018 New Kids On The Block Mardi Gras World block party. Mendel has served as an adjudicator and clinician for the Worldstrides Heritage Performance Programs as a part of their festivals in New Orleans, LA, and Nashville, TN, as well as for the Louisiana Marching Band Circuit and the Louisiana-Mississippi Color Guard and Percussion Circuit. In his spare time, he is an amateur poker player and a member of the Poker Player Alliance, cashing in 8th place in 2009 and 1st place in 2011 of the Pot Limit Omaha tournament of the Winter Bayou Poker Challenge held in Harrah’s New Orleans, and he is a self-proclaimed tabletop game nerd with a love for Fury of Dracula, Tzolk’in, and Terraforming Mars, amongst others. He is also a registered minister of the Universal Life Church whose ability to foster a personable and memorable wedding experience has given him demand as a wedding officiant in Louisiana, Oregon, and Hawaii. Timpani Forces is published and available for purchase at tapsace.